Bry-Air participation in Engineering Expo provided engineering goods industry a useful base to discuss the latest trends and technological developments in moisture and humidity control recently. 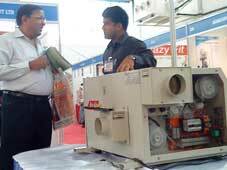 Engineering Expo was held at Pune between 19-22 November, 2010 where problems like organic and inorganic corrosion of machines, rejections were taken into account and catered in detail by the Bry-Air airgineers. 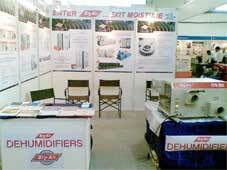 Bry-Air showcased its compact dehumidifier model FFB-300 known as most simple and economic solution for moisture and humidity control. It was an immense pleasure talking to hundreds of visitors visiting our stall and acknowledging our product range. Sharing some of the cherished moments clicked by us during the show.